After humbling losses to the Anaheim Ducks and Los Angeles Kings to close out the 2015 calendar year, setbacks that taught us a lot about where the Flames are at in terms of their stiffest Pacific Division competition, they bounced back on Saturday night with a very impressive 4-0 blanking of the Colorado Avalanche. Up four goals headed to the third, Calgary outshot the home side 12-1 over the final 20 minutes to put an exclamation mark on their most complete road effort of the year. On the eve of another four-game homestand that begins Tuesday night with the Tampa Bay Lightning, here are eight thoughts on the current goings-on with the Flames. It is a recurring feature that I call Eight From 80 Feet. The Flames penalty kill a year ago wasn't great. It ranked 20th in the NHL at 80.6 percent. What made this area a strength (or at least, not as big of a concern as it could have been) was Calgary did a remarkable job of staying out of the penalty box. The Flames were shorthanded the fewest times (186) in the NHL last year and related to that, allowed the fourth fewest PP goals (36). For the first month of this season, it looked like it was going to be a different story as Calgary was in the penalty box a lot. However, the team's discipline has come around. Recently, they're averaging just over half as many penalty kills per game as they were at the start of the year. During this nine-game stretch, the Flames have been nearly perfect on the penalty kill also. The only power play goal surrendered was scored by the Kings and it came at the end of the game into an empty net after Calgary had pulled Karri Ramo. The Flames remain 30th in the NHL in PK percentage at 74.5 but the more important stat is PP goals allowed and at 24, they're now tied for 17th and are climbing. Drafted in the sixth round last June, diminutive but highly-skilled Andrew Mangiapane was one of the standouts at Flames rookie camp this year and he's putting together another good season with the Barrie Colts (OHL). In his fourth game back from an eight-game suspension for a high cross-check, the 19-year-old had the best night of his major junior career on Saturday night with a goal and five assists in a 12-2 win over North Bay. On Sunday in the back end of a home-and-home series with the Battalion -- this time a 5-3 loss -- he added two more assists. Tied for 16th in OHL scoring with 44 points (18 goals, 26 assists) in 28 games, Mangiapane climbs to seventh if you look at his year on a points-per-game basis and on such a list, he's surrounded by pretty good company. In that group of 11 that surround Mangiapane, there are three first round picks from a year ago including two top-five selections. There are three second round picks and there are three guys projected to be top 20 picks in the 2016 NHL Draft. The only two guys not considered 'elite' players based on where they were drafted were Mangiapane and his teammate Kevin Labanc, who was also a sixth round pick but in 2014. Time will tell if the skilled forward, who has played mostly wing but also some centre, can ever ascend to the NHL but getting him with the 166th overall pick is certainly looking like a very good draft pick at this juncture. Scratched four games in a row and in 10 of the previous 13 games, it was hard to know what to expect from right winger Josh Jooris in his return to the line-up on Saturday. However, whatever anyone expected, it's safe to say he exceeded it. 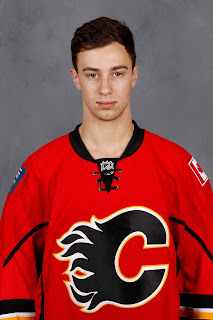 The 25-year-old had a goal and an assist and won four of five face-offs as an integral part of a very effective fourth line with Lance Bouma and Matt Stajan. Jooris demonstrated on Saturday that he can be a very useful player and that's not new. He's shown that in the past. The challenge with Jooris has been sustaining his play at that high level. As someone, who went undrafted and reached the NHL last season through hard work more than talent, he's not gifted enough to be an everyday NHL player if he's not playing like he was last night. Buzzing around on the forecheck, using his speed to create scoring chances and playing physical. It was three weeks ago in this piece when with Bouma nearing a return, I identified Jooris and Mason Raymond as the most likely guys to end up sent to the minors when it was time to activate Bouma. As it turned out, no decision was needed as Michael Frolik got injured. However, the same decision will be faced again when Frolik is ready to go and for Jooris to avoid the guillotine, Saturday night's effort that earned him the fire helmet and surely a place in the line-up again Tuesday needs to become the norm, not the exception. The one position that I never had a chance to get into with Huska was goaltender. To round out the picture, here's a quick update on how Joni Ortio has been doing. Since clearing waivers and being assigned to Stockton in late November, Ortio has started all 15 games for the Heat. On Saturday night in the Heat's 7-6 shootout victory, Ortio was pulled for the second time in a span of four starts and the third time overall after surrendering two goals in the opening 3:14. However, the 24-year-old returned to start the third period and was perfect over the final 20 minutes of regulation and in overtime and then stopped four of five shootout attempts. “It’s all about regrouping. It’s no different than if I had stayed in. 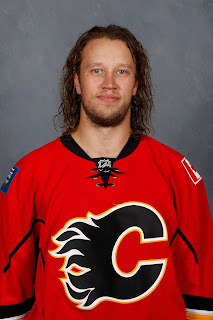 Those two goals were behind me and there wasn’t anything I could do about it at that point," said Ortio after the game. Ortio got the start again on Sunday and stopped 29 of 30 shots in a 3-1 win over Bakersfield. His save percentage was at .876 a week ago but thanks to 112 saves on his last 118 shots faced over the last four games (a .949 SV%), he's got it up to .897 on the season. It's a long way away from the .926 and .912 he posted in 2013-14 and 2014-15 respectively, but it's trending in the right direction for the Finn, who is a restricted free agent at year's end. Stockton plays twice this week: Wednesday (at San Jose) and Friday (at Ontario). Expect Ortio to get a chance to keep up his recent improved play although should he be due for a rest, Kevin Poulin returned to uniform as the back-up on Sunday. 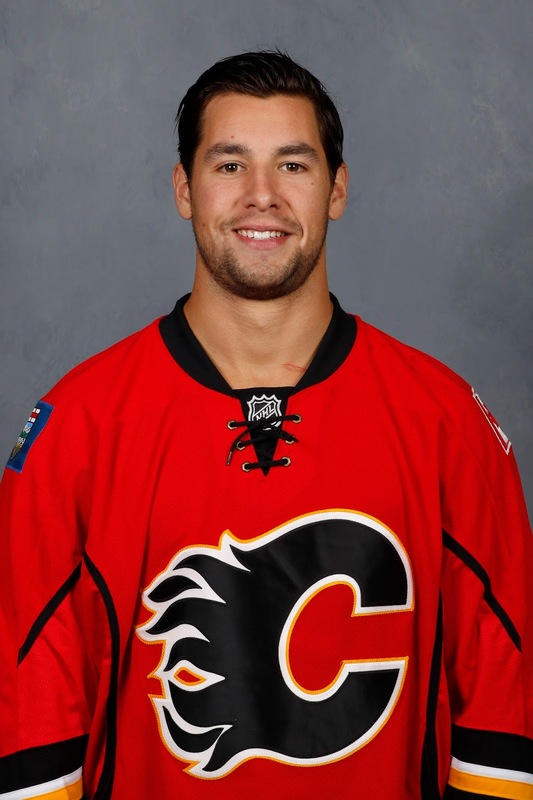 The 25-year-old was acquired by the Flames from Tampa Bay in November and assigned to the AHL. He had missed the last six weeks after surgery to repair a dislocated kneecap. Keep an eye on the Friday game. The Ontario Reign are the affiliate for the Los Angeles Kings and when these two sides last met on New Year's Eve, there were five fights. 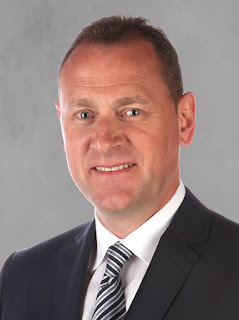 Flames general manager Brad Treliving is currently over in Finland watching first-hand the many draft-eligible players in action at the World Junior Championships. Calgary is currently 23rd in the NHL's overall standings. Should they finish in that spot at the end of the year, that comes with a six percent chance of winning the NHL's draft lottery and moving to No. 1 pick. While those odds may sound remote, this is also the year the new draft rules kick in with the first three picks all determined via lottery. 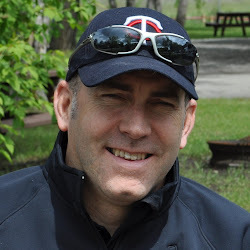 So instead of a six percent chance of getting top pick, the Flames would have an 18 percent or roughly one-in-five chance of moving into the top three. There is a lot of that elusive yet alluring combination of size and skill in that group and it would make for quite a consolation prize should Calgary miss the playoffs but come up with a little luck-of-the-Oilers in the lottery. The two Finns at No. 3 and 4, who everyone saw plenty of in Finland's 6-5 quarter-final victory over Canada on Saturday, are both 6-foot-3 right-shooting wingers and wouldn't one of them look good in the Flames system right now where the latest player to audition on right wing on Calgary's top line was Joe Colborne. 6. Time to Shut Down Hudler? Jiri Hudler played 12 shifts on Saturday night, including zero power play time on three first period man advantages. He later exited the game for what the team described as a lower-body injury. Healthy enough to start the game, it's the latest curious development in a disappointing season for the Flames veteran. After scoring 31 goals and racking up 76 points a year ago, Hudler has only one goal in the last 24 games and just five on the season, which puts him on a pace for 12. The pending unrestricted free agent has been ineffective and if there's a lingering injury, one wonders if Calgary shouldn't consider shutting him down and giving his 20 minutes of nightly ice time to others, who are more deserving and playing much better. 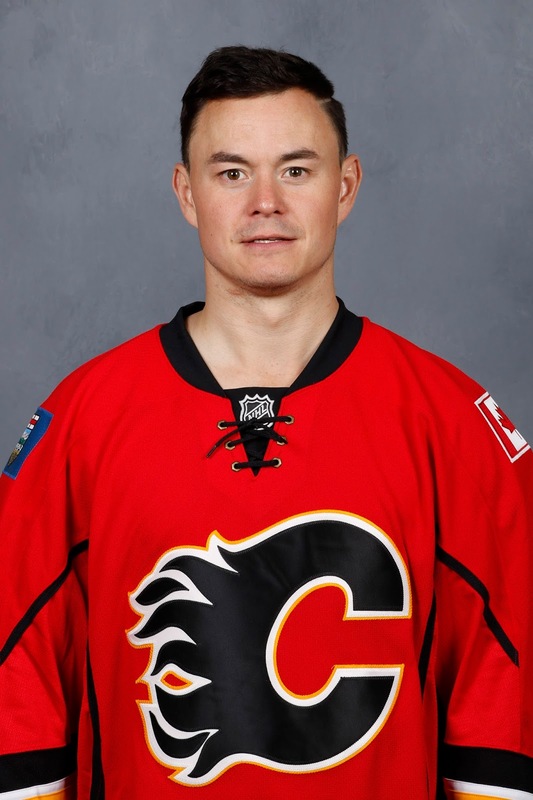 Much like they did a year ago with Curtis Glencross, one would expect Hudler to be someone the Flames will strongly consider moving for some draft picks as he is an unrestricted free agent at the end of the year. However, a fair question to ask is what is the market for Hudler right now? The more they play him the way he's been going, more harm than good is happening to his value. Perhaps it's time to give him some time off to get right from whatever is ailing him (like they did with Kris Russell recently when he was playing hurt) and maybe that will allow him to return and be closer to the player he was a year ago. This shouldn't change Calgary's plans for trading him for assets -- if that's their plan -- but at least it might bump up what he might fetch in a deal. A shutout for the Flames Saturday night was a long time coming. If you include the 11 games in the playoffs, it was Calgary's first shutout as a team in 52 games dating back to April 4, 2015 when Jonas Hiller blanked Edmonton on 27 saves. For Ramo, it was his first blanking in over a year, since he stopped 26 shots to beat Arizona on Nov. 29, 2014. Interestingly, all five of his career shutouts -- all with Calgary -- have come on the road. Ramo's save percentage on the year is now up to a season-high .910, which ranks him 30th in the NHL. He's even moved ahead of fellow Finn Pekka Rinne (.909) of the Nashville Predators. Ramo has started nine games in a row, 24 of the last 27 -- with two of the three games he missed the result of the flu. With Calgary's schedule somewhat relaxed coming up -- just seven games in the next 21 days with no back-to-backs -- it's anybody's guess as to when Hiller will see action again. He last played on December 12. After so much time was spent talking about Calgary's goaltending over the first couple months, it's a refreshing change that such conversation has dried up almost entirely. Go all the way back to the start of December and the Flames have been playing their best hockey of the season. Ten wins in their last 14 games has them right back in the playoff chase and now Calgary is entering an easier portion of their schedule in which they could chalk up a bunch of wins if they can remain hot. Of the Flames next 15 opponents, only five teams are in a playoff spot as of Monday morning. Of those five, two are New Jersey and Arizona, who are just above the NHL's post-season cut line. Over this upcoming stretch, Calgary has Carolina a couple times, the Maple Leafs are in there and so are the Blue Jackets. There are two big games with the division-rival San Jose Sharks also. If the Flames are going to be a legitimate playoff contender this year, this is their opportunity to climb back into the top three in the Pacific Division and maybe even open up some separation. Lastly, for no reason other than it's hilarious. It's the Dougie Hamilton head-first line change.